The number of people using Instagram on a daily basis has dropped by half in the last month, according to stats from AppStats. There's a giant dip in daily active users on December 18, the day that Instagram's updated terms went live, requiring all users to agree that the company could use your photos, your likeness and your username in paid advertising without your permission and for free. On December 17, the app is sitting pretty with 16.35 million people using it every day but then T-day hits and dips way down to 5.2 million. Users tiptoe back to the app from December 19 (15.88 million) onwards but gradually drop down and down over the following three weeks to January 12 where the figure rests at around 7.81 million. So to recap, December 17: 16 million daily users. January 12: 7.81 million people using it daily. 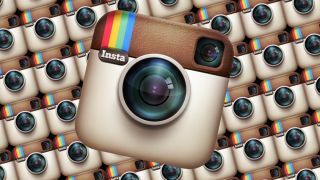 That's half of Instagram's daily users no longer using the photo app daily. While we can't take these figures as rote (laser-accurate stats are hard to come by for app usage) they can provide a guide to how the app is weathering the copyright storm. And the answer is not well. New users are trickling into the Instagram fold since the Facebook-owned photography app reverted to its original Ts and Cs, but the fact that Instagram pictures are no longer integrated into Twitter's drop-down cards won't help matters.